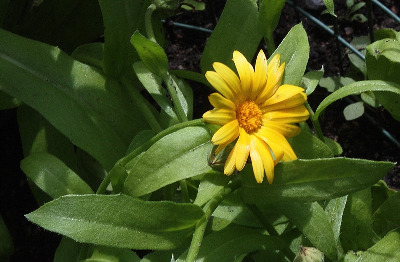 A European native, well known in gardens, where a double cultivar is often grown (i.e., one with disk flowers mostly transformed to ray flowers). Collected by O. 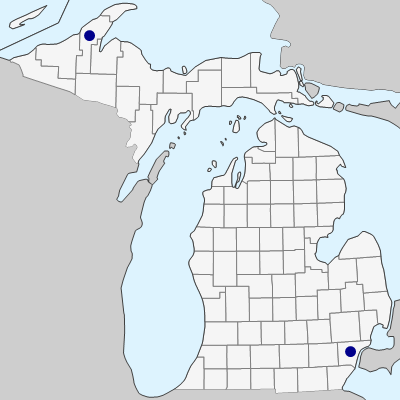 A. Farwell in Houghton (1894) and Wayne (1936) Cos.
MICHIGAN FLORA ONLINE. A. A. Reznicek, E. G. Voss, & B. S. Walters. February 2011. University of Michigan. Web. April 18, 2019. https://michiganflora.net/species.aspx?id=262.